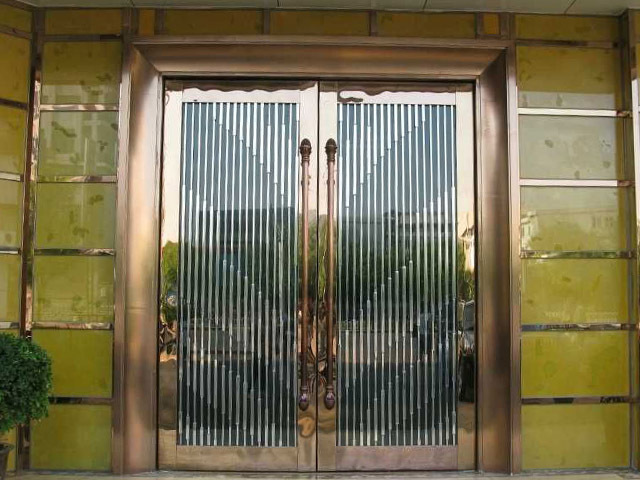 The stainless steel door here is the stainless door with the decoration effect and we care the decorative parts more than the door. Sometimes we can see that the door is made of a complete stainless steel plate when you search for the photos of the stainless door. It is just the door but not the decorative stainless steel door we are doing. How do we add the decoration on the stainless steel door ? 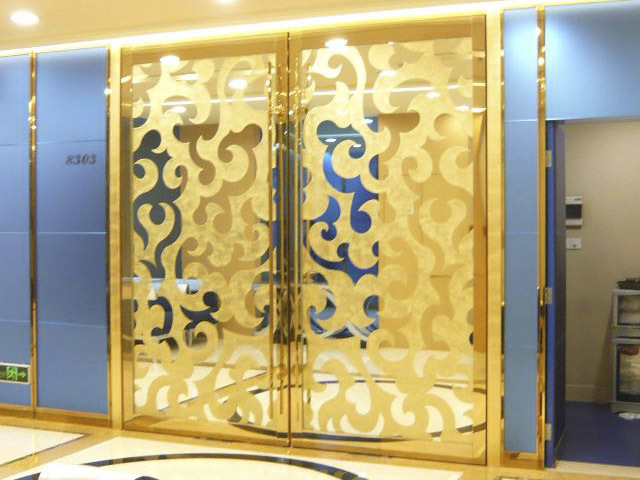 The stainless steel door with decoration requirements normally used for the hotels, restaurants, malls, shops, clubs,etc.All of these places are not totally private, so the doors do not need to shade everything. It needs to be transparent.The transparent glass will be used in the middle of the door to build a open and welcome environment, which people can see the inside view. Keep the stainless steel part of the door frame, use the glass as the middle, now we have the decorative space. The laser cut metal panel, the small ornament, even the promotion poster can be put in the glasses, or we just leave it plain, just like the doors of the clothing shop we see on the street. Get enough of the single color of the stainless steel? Now let’s get the stainless steel some color. Yes, the stainless steel can be colored. The common electroplating colors include the titanium, rose gold, wine red, black, etc. 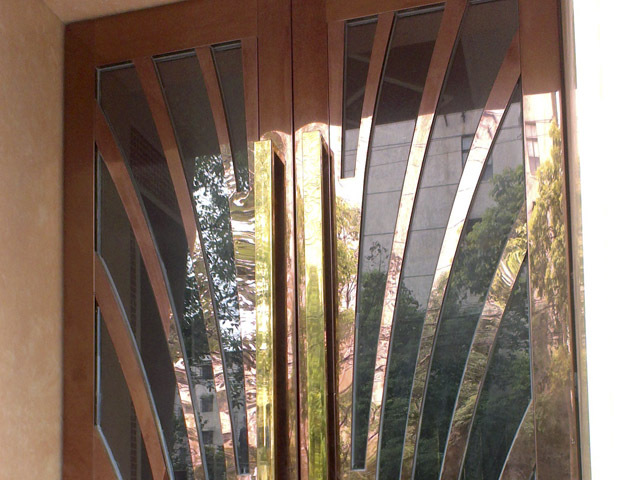 The mirror polishing finishing plus the plating, now the stainless steel door has the best decoration performance.